Hello, our Burlington neighbors and friends. My name is Xin Yi Zhang. I am a candidate for Burlington Ward 5 City and Regional Councillor. If you are unsure about how to pronounce my name, just call me XYZ. I am an IT professional. I have a master degree in Computer Information Systems with the concentration in IT Project Management from Boston University. Other than my full-time job, I am a part-time teacher and a computer book author. I am energetic. 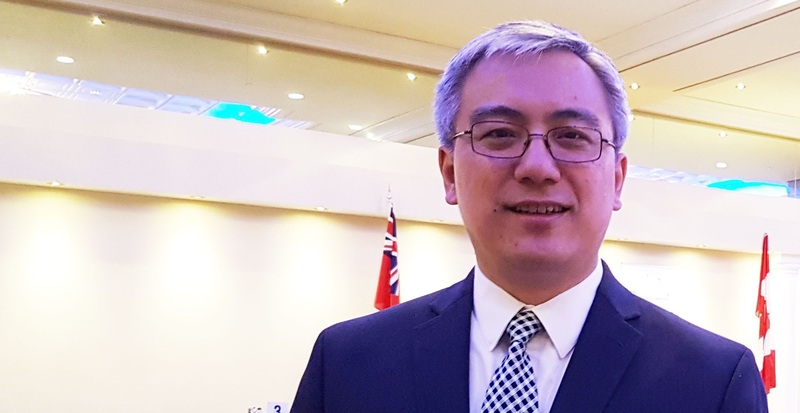 Besides my software development related works, I am a school council member of Corpus Christi Catholic Secondary School, a volunteer of Burlington Chinese School, also actively volunteering in federal and provincial elections, and city development matters. Burlington is one of the top cities in Canada based on its quality of life. It has a beautiful and safe community environment, much better community services and medical facilities than the Canadian average. In such a background, can we just enjoy the existing achievements, sit back and relax? Certainly not. There were so many lessons learned that after experiencing a few years of glory, a city starts failing. We are facing challenges, we cannot just ignore those. One of the issues that must be addressed is community safety risks. Even though Burlington has a good history of social security, the number of break-in cases is now more frequent than in the past. And in the event of an emergency, the efficiency of our police is affected by the limited infrastructure associated with community safety. Road traffic safety also faces similar problems. Children playing on the street and riding bicycles are very vulnerable people. Another problem we have to address is public transportation. This topic was once a hot issue for Ward 5. Many people who are commuting like me all the time certainly feel the importance of public transportation, but for some elderly people, public transportation is critical. For many year-round commuters, there are still lots of areas for improvement in the design of bus and Go connection schedules. There is also a problem due to the aging of the population. When a large number of residents aged 30-40 years at the peak of their career move into a city, the city will be thriving because of the demographic structure. However, with the increasing age of these people, the issue of aging has become increasingly prominent. Community services and facilities for seniors cannot be built overnight. When we have seen that some communities have to close schools because of demographic changes, we need to prepare at the municipal level for our own future, a comfortable retirement life. Other problems faced by the city include the lack of childcare services, waste collection schedule to the families lack of flexibility, coordination of city land plans and residents’ right to information, youth employment counseling, and the application of new technologies in city management. As an IT professional, I can approach city management and future development from different perspectives. I have knowledge of project management, system design experience, understanding and application of new technologies, and practical methods in scientific research. I can better deal with the priorities in city management based on the identifying the essence of problems, and choose a better solution. At the same time, my teaching experience can help me better understand the voices from the neighbors. I clearly see the opportunities and challenges that Burlington faces. I will take the public’s opinions and suggestions seriously and bring the public’s voice to the city council. I will not rest on my laurels and be content with what the current city has achieved. I believe that the idea of failing to advance and retreat will surely serve the citizens responsibly. We work together to make Burlington better.